I know I’ve thrown a lot of desserts your way lately. It’s fall, things are slowing down a bit and I’ve been in a mood to bake. It’s what most of our weekends have looked like lately; go apple picking in the morning and I come home and bake while Van naps. 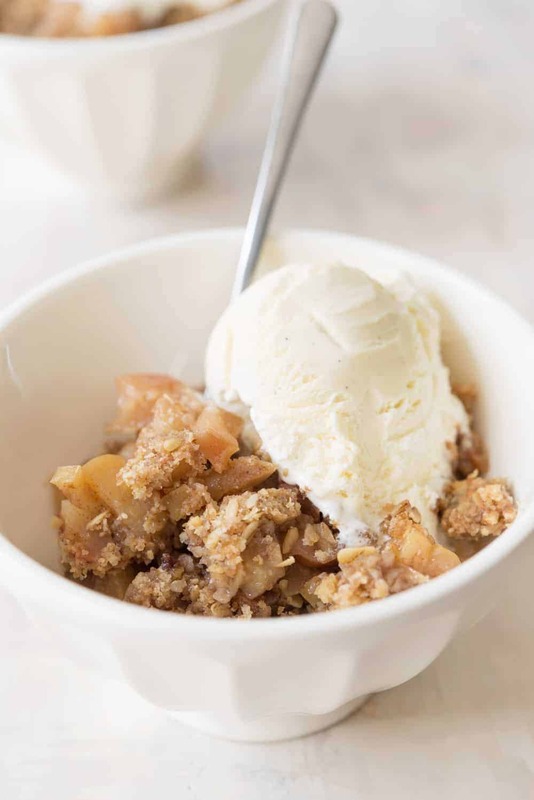 This vegan apple crisp was bound to happen, especially since I’ve already shared a blueberry and pear one with you previously. This one is different, but only slightly so. 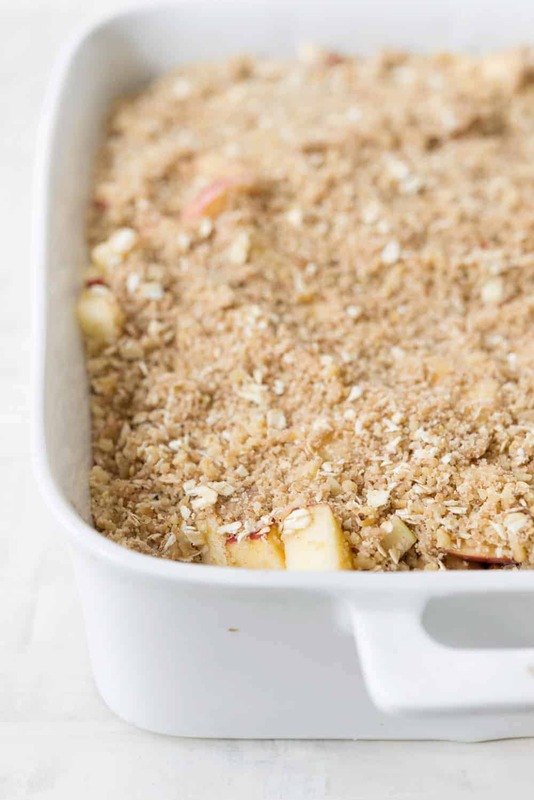 Make the oat and brown sugar topping, then put onto sliced apples and bake. It’s the perfect thing to make when you don’t have the effort for pie. 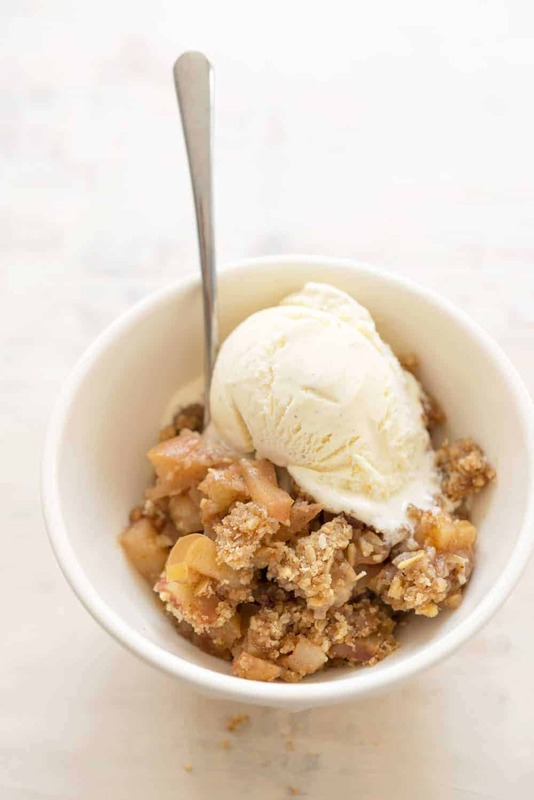 Apple crisp + ice cream is a match made in heaven and I can’t fully accept this as a recipe without including that it should be served a la mode. 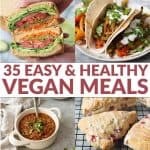 Since this is a vegan crisp, then you’ll likely want to choose a dairy-free ice cream as well. My favorite brands are So Delicious, Nada Moo and Coconut Bliss. And, if you wanted to pour a little bit of this caramel sauce on top, then just know I think that’s a fantastic idea. 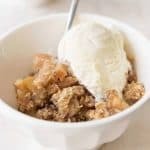 Vegan Apple Crisp! 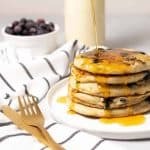 This dessert is so easy and delicious, perfect for fall! 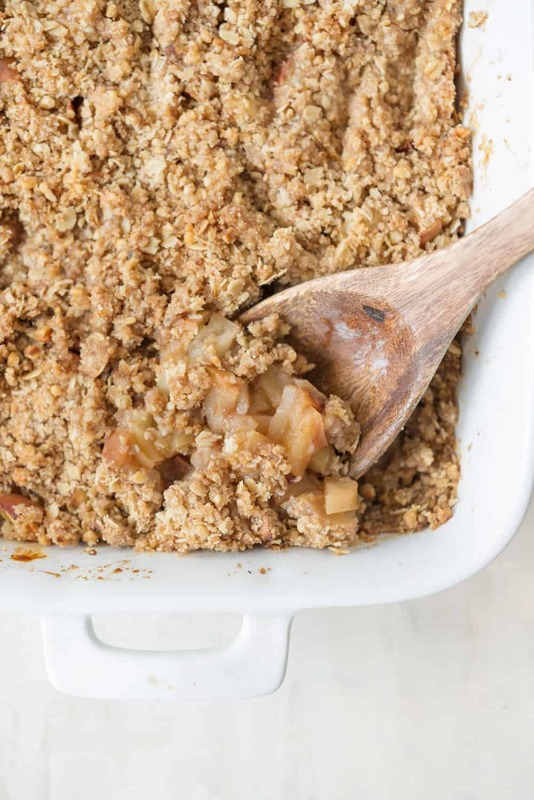 Vegan and gluten-free apple crisp with a walnut oat crust. Toss the apples with sugar, salt, lemon and vanilla. Transfer to a 9×13″ baking dish in an even layer. Set aside. 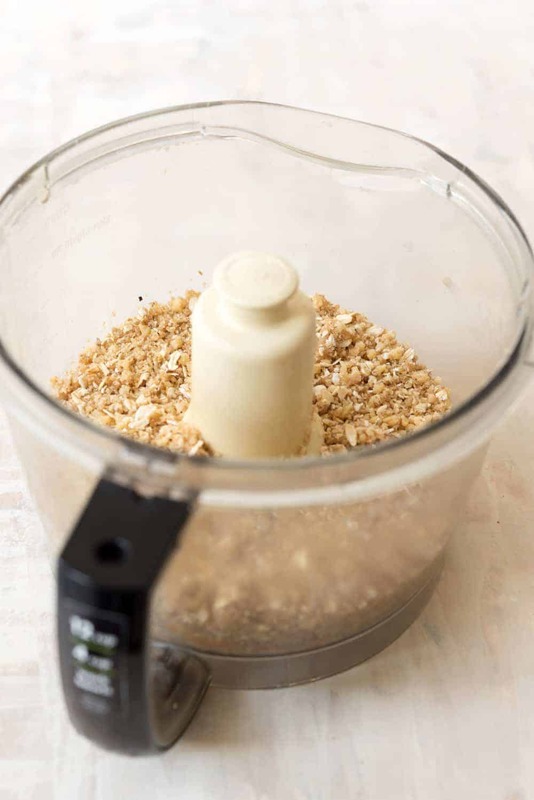 Add the flour, sugars, cinnamon, ginger, nutmeg, and salt in a food processor. Pulse a few times until combined, about 10 times. Add in melted oil and pulse until mixture resembles wet sand, about 15 pulses. Add in the oats, walnuts and water and pulse until mixture forms small clumps, about 15 more pulses. Sprinkle the topping over the apples, breaking the mixture up as needed. Press the mixture into the apples as needed, then place in the oven. Bake until topping is golden brown and apples are bubbling, about 30-35 minutes. Remove from oven and let cool slightly to set, the serve. Preferably with ice cream!